Cruel. Raw. Graphic. Violent. These are all adjectives that could, and have been, used to describe Jason Aaron and Jason Latour’s Southern Bastards. One word that should also be used, though, is realistic. This isn’t a series about super heroes that swoop in at the right moment to save the day. This is a story of a broken man who left his hometown to escape his father, and his father’s legacy. This is the story of Earl Tubbs and his unwilling return to Craw County, Alabama. Earl is a simple man who returns to his hometown to pack away his uncle’s house. His plan is to stay three days and leave. He has no intention of spending any more time in Craw County than necessary. However, it quickly becomes apparent that after his father, the former Sheriff, passed away the town was taken over by Coach Boss. Boss is the coach of the local high school football team and uses his players to carry out his less than legal side businesses. As far as plot goes, I’ll leave it at that as a lot of things are purposefully kept in the dark in the first couple of issues. Jason Aaron has already garnered praise for other series like Scalped, Wolverine, Thor: God of Thunder and currently the Marvel event series Original Sin. He has a talent for writing epic stories and still focusing on character development. I think with Southern Bastards he has given himself the opportunity to tell a smaller scale story and focus even more on character. And I feel like the series is all the better for it. Jason Latour, whose credits include Winter Soldier, B.P.R.D, Django Unchained, and Scalped brings amazing artwork that almost tells a story itself. His style is superbly suited to the story being told, and the setting. What first intrigued me about Southern Bastards is that its writer and its artist both grew up in the South. Being from the south, I was hesitant when I picked up the first issue because I was worried about the way life in the South might be depicted. But I can tell you, from first hand experience, that the two Jasons have it spot on. Some of these characters in the book could be replaced with people I grew up with. Except maybe with slightly less crime and murder. This is one of my favorite series currently running. It has an intriguing story, amazing art, and two creators who know the subject matter. They know what it’s like to love the South and to hate it all at the same time. They know what it’s like to look back fondly on their childhoods there, but to be afraid of it enough to never want to go back again. They know small southern towns, and they know the people that live in them. But first and foremost, they know how to make a comic that’s about as close to perfect as a comic can be. I feel like this will be looked back on as a true achievement in comics, and since there have only been three issues published I think now would be a great time to jump in and catch up. This series is going places and trust me, you’re going to want to be along for the ride. 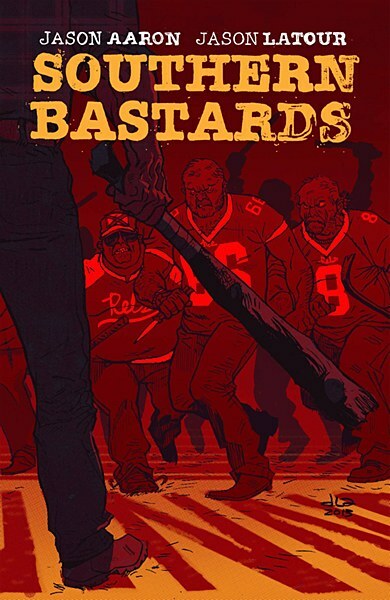 Buy Southern Bastards #1 On Line! Having a store in a city that is not New York, LA, or Chicago makes it tough to get talent to come and do in store signings. The main problem for a store is the cost. It costs the store to pay for the talent to travel (airfare, hotel, meals). Then there are some people who charge an appearance fee to sit in the store. Stores hope to recoup the cost of all that with increased sales of related merchandise. In order to do that the store has to advertise the event – at an additional cost. I speak from experience when I say that making any profit on these events is really, really hard to do. In most situations the best a store does is break even. At best! But most of the time the store takes a loss, chalks it up to making customers happy, and maybe ends up with a new customer. I’ve always believed that the comic book store experience should include being able to meet and talk to comic book creators. Up until recently the only way to accomplish that would be an in store appearance and I’ve already explained the challenges of that. But with today’s technology we can now have creators “stop by” Neptune Comics virtually and tell us why we should buy their books, find out what is happening with their favorite characters, and just shoot the sh*…. . I call it SKYPEHYPE. What is SKYPEHYPE? It’s a new way to have customers interact with a comic book creator in their own back yard, or their favorite comic book shop. A comic book shop can SKYPEHYPE with a creator and that creator gets to hangout with customers for a little awhile. What are some of the benefits for Customers, Creators, and Retailers? 1. Get to meet the person who writes and or draws their favorite character on a daily basis. 2. Find out what it takes to get into comics. 3. Find out where a story might lead to. 4. Find out what that creator is doing next. 5. Laugh or cry or geek-out or just have fun for an hour while hanging out in the sanctuary of their favorite comic book shop. 1. Don’t have to travel. 2. Meet fans. Face-to-face marketing at no cost and in a much more comfortable chair than you get at a con. 3. Get paid more. Don’t have to spend so much time sitting at an airport waiting for a connecting flight but instead spend that time working – and hopefully getting paid for it. 4. Can drink, smoke, wear PJ’s and not brush your teeth and no one will ask you to leave. 1. Low cost. Just set up a computer with a webcam and you are set. 2. Keep the customers coming back for more, or introduce customers to other creators they might not know of. Maybe sell an extra comic book or two while you’re at it. 3. Be known as the most connected, awesome, techno-savvy hub of geek-dome on the planet! The other night my store Neptune Comics hosted its very first SKYPEHYPE. While attendance was low, it was one of the best events Neptune Comics has ever put on. Comic book stores are known for being places where people can hang out and “talk shop.” SKYPEHYPE takes it to a new level. When Neptune Comics hosted Steve Niles we really didn’t know what to expect. Mid-way through I could just tell that it was a great way to connect our customers and myself as both a fan and a retailer with creators. We talked with Steve about the state of the industry for a bit, what he has on his creative plate, and even talked a while about John Carpenter movies. Point is everyone had fun. My hope is to host a creator SKYPEHYPE weekly as long as there is interest from creators and customers. If all the SKYPEHYPE’s are like the one last night we are doing them for a long time. If you get a chance please try to attend one of these as they go on, and let me know how you liked it. We’re planning them weekly on Wednesday night around 6 pm, so you can stop in and pick up your comics and/or hang out and join in on the SKYPEHYPE at Neptune Comics. Thank you to Steve Niles for being our first SKYPEHYPE. It was great talking with you. We look forward to having you SKYPEHYPE with us again in the future. Our next guests will be Jimmy Palmiotti and Amanda Conner on Wednesday August 21st at 6 pm. What Craig is reading now and you should too. Working/owning a comic book store people always assume that I read everything that comes out every week. Well, that is not true. Running a business, raising a child, and life does not allow me to read as much as I would like. Almost on a daily basis I’m asked “What are you reading?” I have my favorites which I try to read right away, and there are things where I just page through to get the jest so I can tell people about what might be happening. In this post I’ll tell you what I try to read as soon as I can. I’m hoping this post will help you in trying to find something new to add to your comic book reading enjoyment. As a lot of you know Daredevil in the early 80’s is what really brought me into comics as a kid. Frank Miller and Klaus Janson could do no wrong for me and watching DD do his acrobatics across the NY landscape was just awesome for this 10 year boy living on the south side of Milwaukee. Fast forward to today. In the past 10-15 years old horn head really was a dark murky book finding Matt in all kinds of trouble and getting the you know what kicked almost on a monthly basis. Mark Waid in all his genius brought back the fun of Daredevil and made him the hero I knew growing up. The book was no longer in the shadows and all colors were bright. If you are looking for a great, great superhero book with fun and adventure pick up this run. Here’s a link to the 1st volume of the graphic novel on our website. 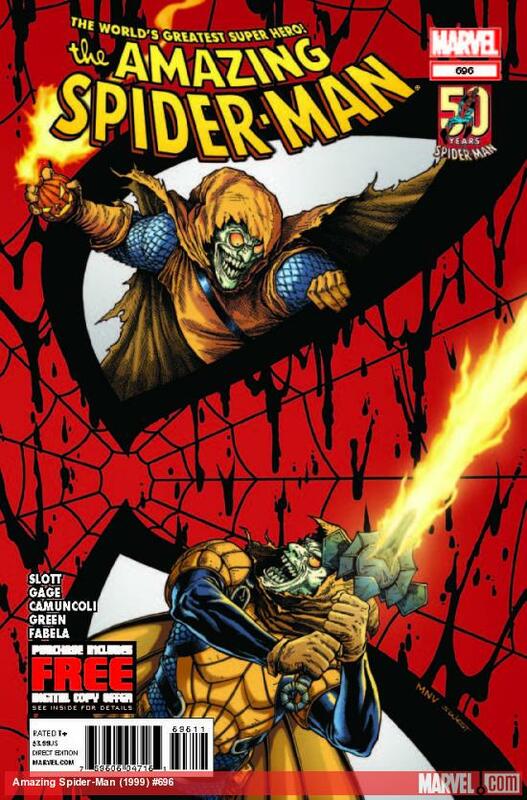 Click here for the hardcover that basically covers the 1st 12 issues. Or Click this link for the 1st volume of the paperback that covers the 1st 6 issues. Tim Seeley, and Mike Norton’s Revival. What happens when the dead start coming back from the dead in a small Wisconsin town? Well that’s the whole premise of the book. If you are looking for something a little lighter than the Walking Dead in your reading pile this is that book. It is not a foul mouth, gory, over the top as Walking Dead but it is creepy (in a good way). Plus it happens in a small town in Wisconsin what more do you need? Click on this link for the 1st volume of the graphic novel or this link for the 2nd volume. I think I’ll stop here for right now and maybe post some more titles that I’m reading in the next few days. If you are not reading these titles please give them a shot I really think you will like them. HEY KIDS! Here it is all the details for our huge After Thanksgiving Sale on November 23rd this Friday. Hope you all can make it. Oh, and don’t forget that New comics are still on Wednesday this week so you can get your favorites before going to Grandmas house. NEW ITEMS AT NEPTUNE COMICS ON OCTOBER 24TH 2012! Here is all the stuff we are getting in this week. 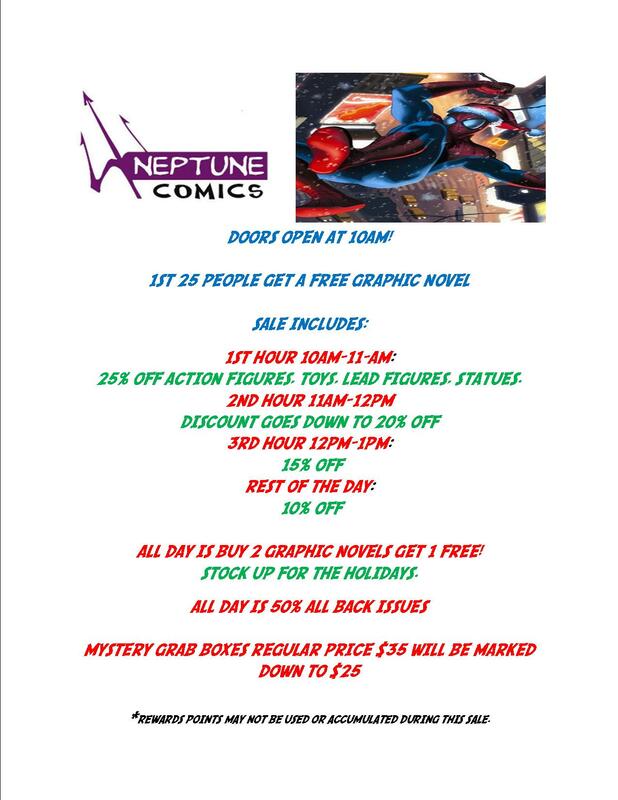 You can go to our site http://www.neptunecomics.com and purchase the items you want on the list and we will hold them for you at the store so that we don’t run out of your favorite title. NEW ITEMS AT NEPTUNE COMICS FOR 10/17/12! Here is the list of items we are expecting in this Wednesday. Take a look, and don’t forget if you think you are going to miss your favorite issue cause you can’t get in until later you can always buy it at www.neptunecomics.com. NEW ITEMS FOR OCTOBER 10, 2012! Here is the list of items coming in on Wednesday October 10, 2012. 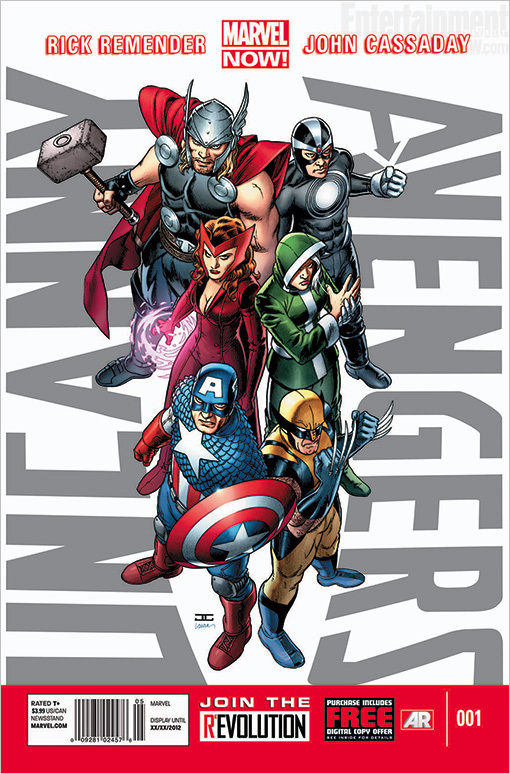 Don’t forgot we are having a Uncanny Avengers release party on the 10th we’ll be having cake and other prizes for everyone be sure to stop in.